Hydrogen is one of the primordial elements that fueled the development of all life on Earth. Human beings cannot live without hydrogen. While science refers to us as carbon-based life forms, man is also a hydrogen-based life form. When plants absorb sunlight, they store negatively charged hydrogen ions through the process of photosynthesis. When you eat unprocessed plants, your body’s cells utilize the nutrients in those plants with the electrical charge of the hydrogen ions in those plants. When your body burns hydrogen and oxygen, it generates the energy you need for the process of life. 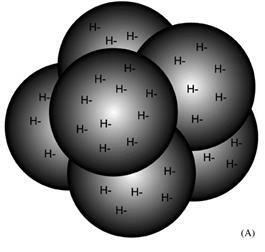 Hydrogen is the smallest known element in the Universe. All living things must have hydrogen to sustain life. The human body must breathe to get oxygen, and must eat and drink to get hydrogen ions. The primary source of hydrogen ions for the human body are fresh uncooked plants, fruits, vegetables, and water. Due in no small part to mass food production, mineral deficient soil, pesticides, chemical fertilizers, over-processing of foods, the addition of chemical preservatives, and drinking over-chlorinated and over-fluoridated water, millions of individuals are not getting enough hydrogen ions daily and are suffering for it. When certain chemicals in the body lose an electron, they become positively charged (and are called "free radicals" or "oxidants"). These chemicals roam freely through the rest of the body stealing electrons from other cells. 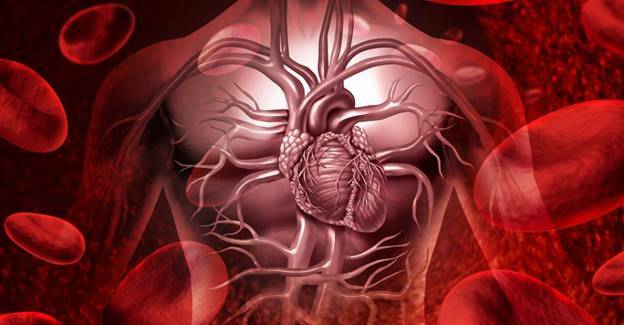 Free radicals damage cellular DNA. The majority of modern science has come to the conclusion that free radical damage in the human body is the cause of aging. 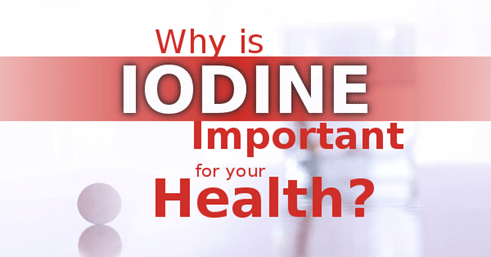 Aging is evidence of the damage to millions of the body’s cells through oxidation. This oxidation is due to the lack of hydrogen anions that are available to stop free radical damage. To understand the concept and practice of increasing cellular lifespans, and thus health and vitality one has to look deep into the cells mitochondria, the Krebs cycle, the electron transport system, and how hydrogen plays a crucial role in the creation of ATP. Negative hydrogen ions are able to generate ATP in the mitochondria and trap free radicals effectively. The H- changes NAD+ in the mitochondria to NADH. The NADH is then processed in the electron transport system to product 3 ATP molecules. Normally the Krebs cycle produces NADH, but the H- makes it possible to bypass the Krebs cycle by recycling NAD+ to NADH to do this. The only product that generates H- is Megahydrate, which makes "micro-clusters" of water based around silica nanotechnology. These "micro-clusters" contain silica cages roughly 5 nanometers in diameter with the surrounding water in the EZ (4th or crystalline) state of water and have negative hydrogen ions (H-) embedded within it (see the diagram above). There is no other product that does this. 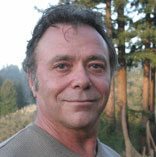 The world expert on EZ water is Dr. Gerald Pollack. Meghydrate is a hydrogen product that has very broad applicability and contains an abundance of negative hydrogen ions within a colloidal silica matrix. This product is the ultimate hydrogen product (even better, some think, than molecular hydrogen), greatly enhances the production of ATP (cellular energy) in the body, is the most powerful antioxidant available, and is the key that unlocks the potential of water as the medium for nutrient replenishment and waste removal at the cellular level. Other great options are molecular hydrogen, hydrogen generated from water ionizers (as long as the plates are clean, and a new generation of water machines that produce only hydrogen water (due out soon). For a full understanding of hydrogen and its use in medicine, please see this excellent video by Tyler LeBaron of the Molecular Hydrogen foundation. Molecular hydrogen (H2), produced in ionizer water machines and the even better new generation of hydrogen neutral pH water machines, as well as from H2 tablets, is an uncharged gas. H- is a negatively charged hydrogen anion that can give up an election to NAD+ to produce NADH. H2 cannot do this. In addition, H- is itself a powerful antioxidant that converts hydroxyl free radicals into water the same as molecular hydrogen. Hydrogen anions (H-) would be better at recycling Vitamin C than glutathione. In addition, we can conclude that the reduction of oxidized glutathione would be enhanced by H-. The same would be true for molecular hydrogen. Thus, for us humans having a supplement that provides H- or molecular hydrogen in high quantities is going to extend our stores of Vitamin C and this is life enhancement at its best. H- and molecular hydrogen both will create a feedback loop and an updraft that lifts the activity of all antioxidants because an adequate supply of vitamin C enables the regeneration of vitamin E and other antioxidants in the body. 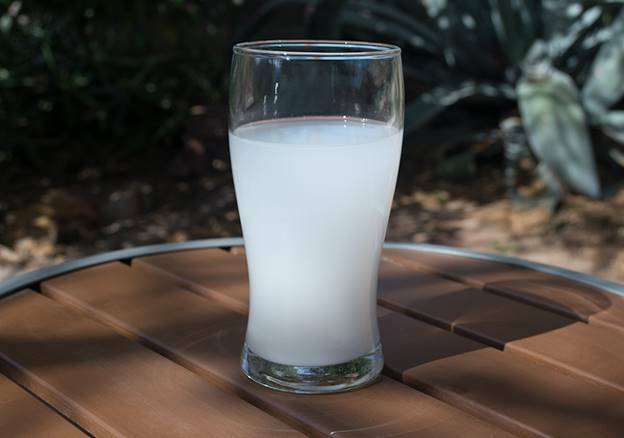 The particle’s silica-water interface in Megahydrate is saturated with reduced hydrogen, or hydride (H-) ions, and takes on an overall negative charge. In such cases, the particle then acts as a reducing agent or antioxidant when in solution (standard reduction-oxidation potential, −550 mV). It is capable of providing literally trillions of hydride ions able to donate electrons into body fluids. Electrons, which Albert Szent-Gyorgyi (who first identified the anti-ascorbutic factor) called the “fuel of life,” are abundantly available in inorganically grown raw vegetables, fruits, and grains, but are deficient in our modem diet of over-cooked, acidic, or highly oxidized foods, beverages, and drinking water. In silica hydride minerals, the structured water around the silica-water interface stabilizes electron transfer. Electron deficiencies resulting from inadequate diet have a deleterious impact on specific biological processes such as lactic acid build-up, cellular hydration, and damage from free radicals, mitochondrial bio-energetic capacity, antioxidant activity, and suitability of drinking water for conversion into optional cellular body fluids. Meghydrate fulfills the need that exists for a method of counter balancing these electron deficiencies and, as a result, enhancing each of these biological phenomena. The above diagram shows the dissolution of Silica Hydride in water. The silica hydride compound does not violently react with water and has been determined by particle analysis to break down in an aqueous environment from the aggregate clusters to the silicate monomeric structures while releasing the hydride ions into the solution. ORP, rH and 1H-NMR measurements indicate significant long-term (on a magnitude of weeks) reduction potentials of −750 mV. Thus, Megahydrate is an antioxidant that promotes full-body hydration, defends against harmful free radicals, and supports energy production and metabolic activity. The Concept of Silica Hydride. Conceptually the hydride embedded organosiliceous silsesquioxane, or silica hydride, is a monomeric silica-based cage with interstitially placed hydride anions. 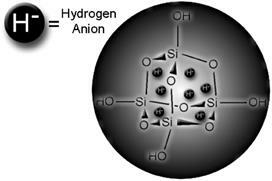 As a bio-encapsulated compound, the silica acts as a colloidal carrier for the hydrogen anions in solution. A series of solutions of Megahydrate were prepared in water, ranging in concentration from a few µg (micrograms) per mL (milliliter) to a supersaturated solution of grams per mL. Each of these preparations were introduced into separate vials containing live cells of each of the three cell types. 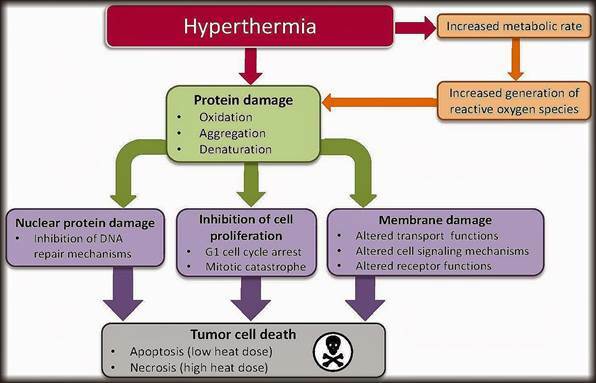 The initial reaction with the cells was observed, then every 15 minutes for over six hours. At each observation, the Megahydrate treated cells were compared with live cells that were non-treated, which acted as a control. Each observation included microscopically looking for any cell disruption, bulging, shrinkage, etc. At each observation, the cellular concentration was also measured using a device called a hemocytometer. Megahydrate, in every tested concentration, showed no signs of inducing necrosis or apoptosis over the course of the experiment to either the erythrocyte, hybridoma or the ovary cells. In fact, watching the red blood cells were one type of cell tested that indicated no signs of toxicity with Megahydrate treatment. More cells (up to 50%) more were living. Bottom line, more cells were healthy in any arbitrary observation than the non-treated controls. Dr. Patrick Flanagan, is the creator of Megahydrate. He holds advanced degrees in chemistry, nanotechnology, bio-sciences and medicine. He has developed over 300 inventions and was named Scientist of the Year in 1997 by the International Association for New Science. He was way ahead of everyone in terms of hydrogen medicine. Megahydrate has been around for almost 20 years where as the mainstream of alternative medicine only started paying attention to hydrogen in 2007. 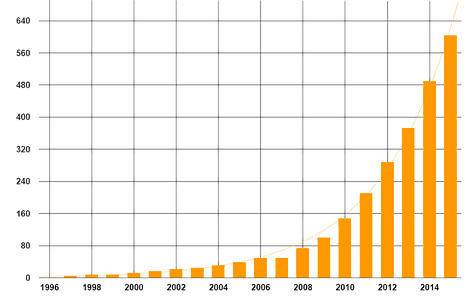 The number of Molecular Hydrogen research papers has grown enormously since 2008. One should take note that almost all the initial research and publications came from Dr. Flanagan who was way ahead of the curve in seeing how hydrogen can affect our health. M. Ito, T. Ibi, K. Sahashi and etal., "Open-label Trial and Randomized, Double-blind, Placebo-controlled, Crossover Trial of Hydrogen-enriched Water for Mitochondrial and Inflammatory Myopathies," Medical Gas Research, p. 1:24, 2011. M. Lee, Y. Kim, K. Ryoo, Y. Lee and E. Park, "Electrolyzed-reduced (Hydrogen Rich) Water Protects against Oxidative Damage to DNA, RNA and Protein," Appl Biochem Biotechnol, pp. 135(2):133-44, 2006.